Oxidative stress occurs when the production of reactive oxygen species (ROS) is greater than the body's ability to neutralize or eliminate them. At any one time, our cells are in constant free radical attack. Our body, in turn, has its own way of neutralizing and eliminating these free radicals. When our body undergoes more free radical attack that it can handle, oxidative stress occurs. What are Reactive Oxygen Species or ROS? Which organs are most susceptible to ROS? Do we need Antioxidant Supplements? How does our body's Antioxidant System work? How do we avoid ROS? Free radicals are chemical species that have one or more unpaired electrons. Having the unpaired electron/s make/s them unstable. When they are unstable, they react with other chemicals that usually result to cell damage or death. Free radicals can come from natural biological functions and external stressors. Normal body processes such as breathing and eating produce free radicals. This is a consequence of energy production by the cell mitochondria. Exercising also produces free radicals. As well as thinking. Virtually all body processes involve free radical formation, in one form or another. Our body, however, has its own antioxidant system that deals with it. This is why free radicals caused by normal biological functions is not a big deal. It is the external sources of free radicals that the body must fight hard against. Free radicals are dangerous because they react with organic substrates in the body such as lipids, protein, and DNA. Effects of oxidative stress to a cell vary from cell damage, apoptosis or cell suicide, and necrosis. Some body organs are predisposed to greater levels of ROS than others. These are the lungs, brain, eye, heart and reproductive organs. The lungs are exposed to high levels of high ROS because it is exposed to continuous high levels of oxygen. The brain, on the other hand, is susceptible to oxidative stress since it involves high metabolic activity. The brain is, after all, the body's main control mechanism. Moreover, the brain has low levels of endogenous antioxidants to counteract ROS. The eye is predisposed to formation of ROS because it is constantly exposed to damaging UV light. 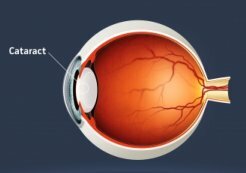 Cataract is an example of an eye inflammation whose one possible cause in too much ROS. The heart, just like the lungs, is exposed to high levels of oxygen. And it involves a lot of energy since it is the body's main lifeblood. Free radicals or ROS can damage the membranes of the sperm cell, affecting sperm motility. It can also damage the DNA that may be passed to the woman's egg cell in conception. Oxidative stress in female infertility has been observed in various reproductive processes. For couples who want to have a baby, a "damaged" sperm cell is definitely not welcome! The effects of oxidative stress have been implicated in a growing list of diseases as well as the aging process. The Role of glutathione in fighting cellular inflammation is evidenced by some incredible Glutathione Testimonials. The use of antioxidants to prevent and/or cure diseases remains controversial. However, several studies and researches have shown that stress caused by ROS is one of the major causes of the above-mentioned diseases. 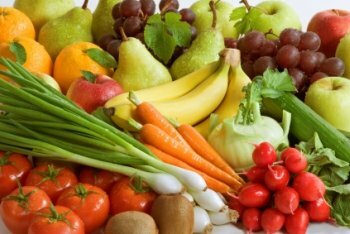 Antioxidant supplementation may, therefore, be of help in managing and treating these diseases. The body has its own antioxidant system to fight ROS. This system includes antioxidants and antioxidant enzymes. Endogenous antioxidants are the following: Glutathione,the body's master antioxidant, Coenzyme Q10 and Alpha Lipoic Acid. The body's own antioxidant enzymes include catalase, superoxide dismutase and glutathione peroxidase. Apart from the body's own antioxidant system, it also needs exogenous (consumed) antioxidants such as Vit. C and A.
Antioxidants can be classified according to their function. They can either be scavenging or preventing. A. Scavenging antioxidants seek out for ROS and remove them. Examples of scavenging antioxidants are the water-soluble Vit. C and glutathione. Some are lipid-soluble. Vit. E, carotenoids, lipoic acid and coenzyme Q10 belong to this group. Scavenging antioxidant enzymes include superoxide dismutase (SOD), catalase, and glutathione peroxidase (GPx). SOD detoxifies the superoxide ion (O2-). Catalase deals with the hydrogen peroxide (H2O2) radical. Glutathione peroxidase detoxifies cellular peroxides. B. Preventive antioxidants, on the other hand, prevent ROS formation. They are proteins that bind with ROS to protect essential proteins. Preventive antioxidants include albumin, metallothionein, transferrin, ceruloplasmin, myglobin and ferritin. Read on glutathione-antioxidant FAQ's here. In summary, oxidative stress occurs when our body's own antioxidant system cannot cope with the formation of reactive oxygen species (ROS). ROS form when our body is attacked by too much free radicals which can come from normal biological functions and from outside stressors. Outside stressors include automobile exhaust, UV rays, cigarette smoking, to cite the most common. So how do we avoid oxidative stress? We should avoid the things that cause free radical formation such as smoking and excessive alcohol consumption. Avoiding places and people that stress us out will definitely keep us "stress-free." Regular exercise also helps by boosting your immune system. And it makes you feel happy afterwards. In terms of food and supplements, it is wise to eat foods rich in antioxidants. The same goes for antioxidant supplements, particularly supplements that increase our glutathione reserves. Be sure to take in a variety of antioxidants in order to get the most of all their benefits. Boost your own body's master antioxidant, glutathione. And also, take in exogenous antioxidants such as Vit. C and Vit. E.
So, if you want to live (healthy) longer and be free of diseases, then take protect your cells form ROS! Your body will be at its healthiest. And if you're healthy, you can do more things that you enjoy, longer! Isn't that what we all want?